My files are kept online in the cloud. There are many cloud services you can use. I am using google drive for my backup. The scripts, I use, are in a folder that I then zipped into a tar.gz file. In my gdrive I will select this tar.gz and I will make a share for everyone to download. This will result in a very long and complex url. This url is just an example. You should make your own get-started scripts and make your own bit.ly url so you can install your scripts and settings. You can reuse my code to get your work done faster. When we compare with the video’s about nemesis then there are a few new scripts. 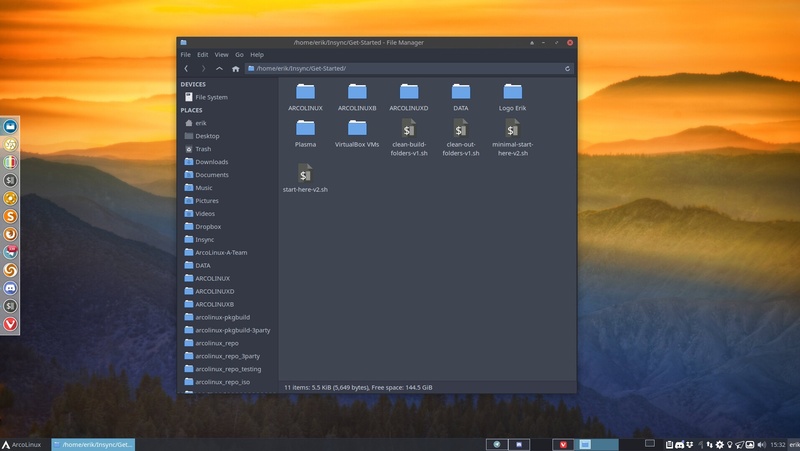 We added a script to add applications to the autostart folder like discord, telegram, whatsie, etc..
We fixed the telegram tray icon from blue to white. We have added the scripts from Nemesis to the path. Now we can start any of the nemesis scripts straight from the terminal. We have added a script to shutdown or reboot after a few seconds rather than 90 seconds.